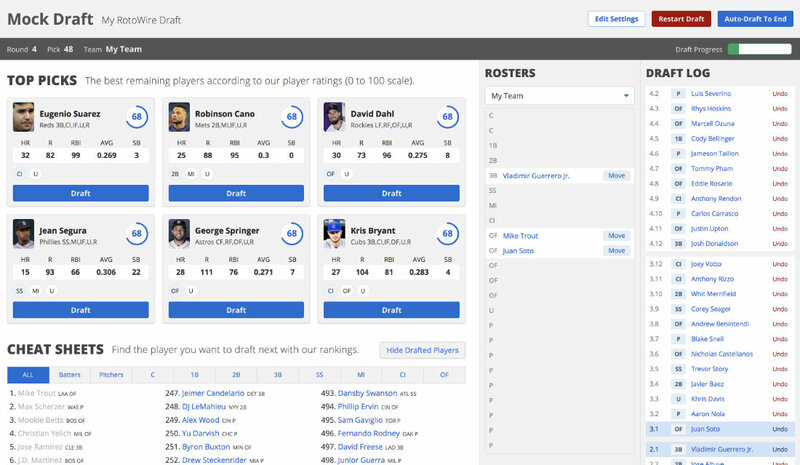 The most entertaining way to prepare for your fantasy baseball draft. You can run an unlimited number of drafts so you'll have the chance to see how your team turns out using any draft strategy you dream up. See who's available to you in all your possible draft slots. The difference in strategy when you're picking first vs last can be huge. Adjust your mock draft settings to match your league, draft type, roster and scoring – you can even adjust position eligiblilty.